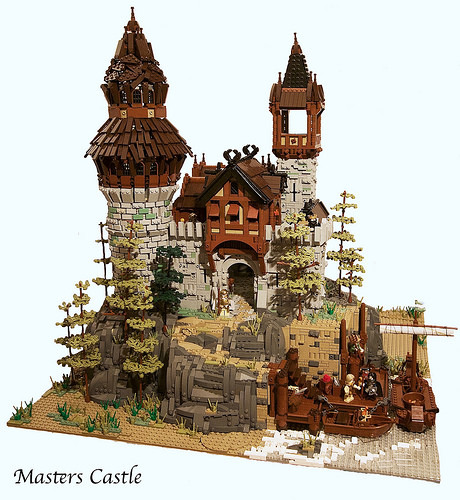 Most LEGO castles appear to lie in the grassy woodlands of Northern Europe, the sun-baked sands of the Sahara, or in a dizzyingly vibrant fantasy land. Brick Monkeys, however, is ready to take us somewhere new. 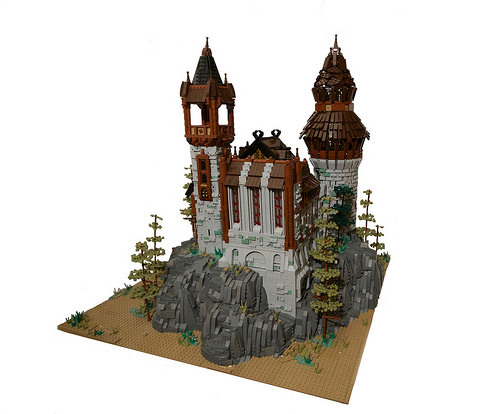 This castle is set in what appears to be a drought-stricken clime where you can almost feel the dry leaves crackling as they fall from the trees. The extensive use of earth tones blends well in this arid scene. The castle itself features many great details also, from the stained glass windows of the great hall to the ramshackle upper roof of the round turret, where plates have been layered haphazardly for a unique texture.